All Banana Boat sunscreens are 4 hours water resistant and offer both SPF 30+ and SPF 50+ Borad Spectrum UVA/UVB protection. 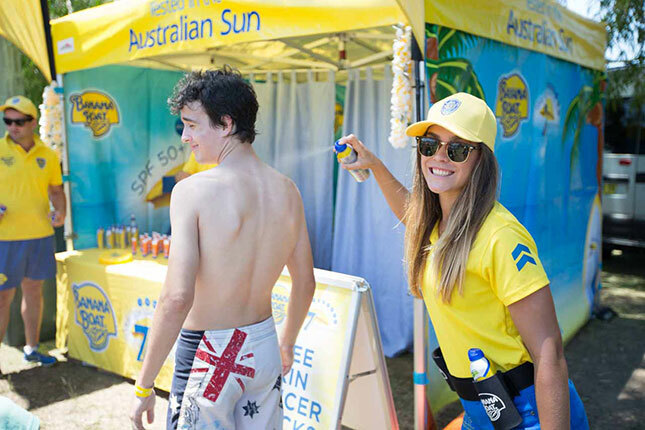 Through our Sun Police team and National Sunsafe Schools Program, Banana Boat are dedicated to educating Australians on how to be safe in the sun, whilst still having fun! If you are going to the beach, playing sport or taking the kids to the park, we have a sunscreen to suit your lifestyle.